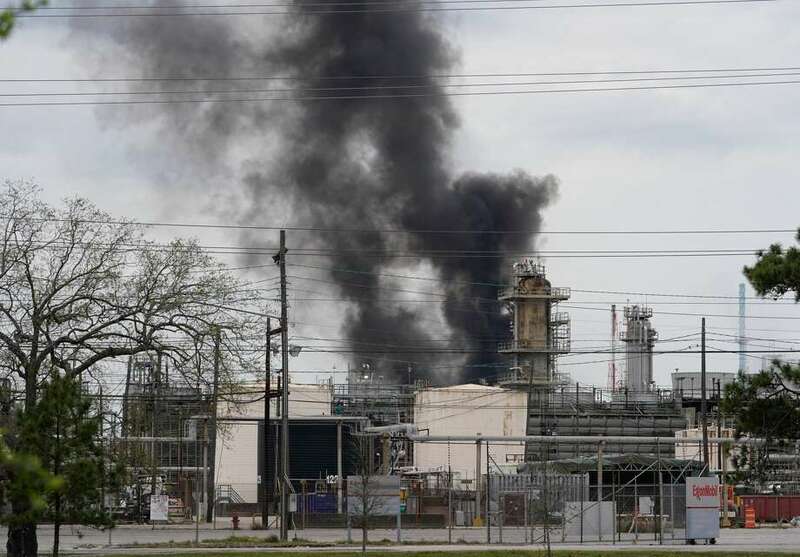 Smoke is shown at Exxon’s Baytown facility, 5000 Bayway Drive, where a fire was reported Saturday, March 16, 2019. A fire that broke out Saturday afternoon at Exxon Mobil’s Baytown refinery has been contained by emergency officials. “Pollution Control is still monitoring the air south of the plant around La Porte and Clear Lake with no reading at this time,” Harris County Judge Lina Hidalgo said. “We deeply regret any disruption or inconvenience that this incident may have caused the community,” the statement said.